Feeling a little bewildered about how to create your own diamond engagement ring? Here at La Vivion we understand that, as a once in a lifetime moment, designing a bespoke engagement ring will be a new (and daunting!) experience for most. That’s why we have a very unique and easy to use ring builder module to help you to create a completely original and beautiful ring to present your loved one with. Using our ring builder module couldn’t be easier. The hardest thing about it will be deciding what features you prefer most! Whether you’re indecisive about diamond shape or setting design, there’s no need to feel pressured - you’ll be guided through each and every part of the process entirely at your own pace. We have an extensive variety of GIA certified diamonds to choose from (over 70,000 would you believe? ), all of which vary in shape, cut, colour, clarity and carat. Now this is undoubtedly fantastic, but how are you possibly expected to select one from so many?! 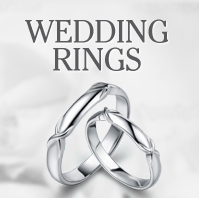 Not to worry, our helpful ring builder module will cut your search time down significantly. Each setting on the ring builder module can be refined and altered easily to create a one-of-a-kind ring that’s personal to both of you. We have settings available in a range of precious metals and timeless designs to suit every individual, from elegant vintage styles to striking contemporary types and many more. Wary about overspending? One of the best things about our diamond ring module is that you can create your own diamond engagement ring without going over budget! By altering a simple sliding bar, you can select the minimum and maximum amount you want to spend, and we’ll only provide you with results that match this information. 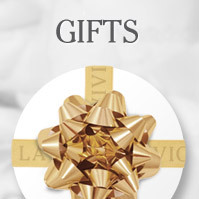 What’s more, La Vivion offer an optional free engraving service on all of their engagement rings, as well as a free message card and luxury gift box, all of which can be amended on the last steps of your order. 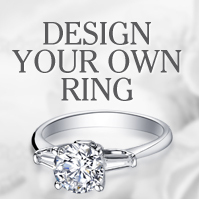 For help when you create your own diamond engagement ring, contact one of our advisors today.